Philip Zelikow is the White Burkett Miller Professor of History. He has also served at all levels of American government, including as an elected member of a town school board. He began his professional career as a trial and appellate lawyer in Texas, including work for the Texas Court of Criminal Appeals. After returning to graduate school and then teaching for the Navy, he joined the Foreign Service and served as a career diplomat, posted overseas and in Washington, including service on the NSC staff for President George H.W. Bush. His Ph.D. is from Tufts University's Fletcher School. 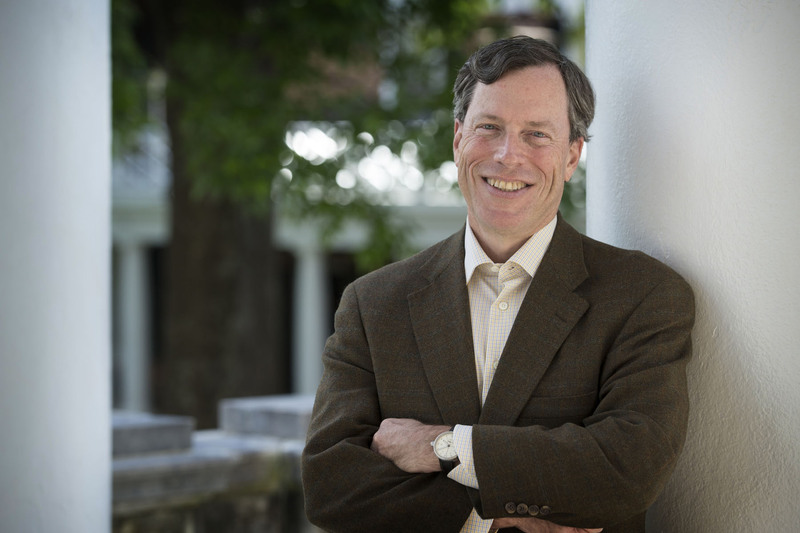 Since leaving regular government service in 1991 he has taught and directed research programs at Harvard University and at the University of Virginia. At Virginia he directed the Miller Center of Public Affairs from 1998 to 2005. While at the Miller Center, he directed the 2001 commission on national election reform, chaired by former Presidents Carter and Ford. This work led directly to congressional passage of the bipartisan Help America Vote Act of 2002. His books include Germany Unified and Europe Transformed: A Study in Statecraft (Harvard UP, 1995, with Condoleezza Rice); The Kennedy Tapes: Inside the White House during the Cuban Missile Crisis (Norton ed., 2001, with Ernest May); Essence of Decision: Explaining the Cuban Missile Crisis (Longman, rev. ed., 1999, with Graham Allison); and America's Moment: Creating Opportunity in the Connected Age (Norton, 2015, drafted on behalf of the Markle Foundation group, "Rework America"). He took two public service leaves from academia to return full-time to government service. The first of these leaves was in 2003-04, to direct the 9/11 Commission. The Commission's landmark report was published in 2004. The second leave was in 2005-07 to serve as Counselor of the Department of State, a deputy to Secretary Rice. In later academic service at Virginia, Zelikow was the dean in charge of the Graduate School of Arts and Sciences (2011-14). He was a member of the Defense Policy Board (2015-17) and has also been a member of the President's Intelligence Advisory Board for President Bush (2001-03) and for President Obama (2011-13). He also advised the Bill & Melinda Gates Foundation’s program in global development (2007-12).